Galavant is going all out. A video has just been released featuring the cast and celebrity fans of the cancelled ABC series. As we reported earlier this month, ABC cancelled the musical comedy after two seasons. Afterwards, fans of the show started the hashtag campaign #MoreGalavant with the hope of continuing the show on another network. The new video features stars Timothy Omundson, Karen David, Mallory Jansen, and celebrity fans like Mark Hamill and Billy Boyd dancing to Justin Timberlake’s “Can’t Stop The Feeling” while promoting the campaign #MoreGalavant. So far, the fan petition has gained more than 600 pages of signatures. As of now, another season has not been announced. But the show’s composer, Alan Menken, said there is a staged version of Galavant in the works. What do you think? 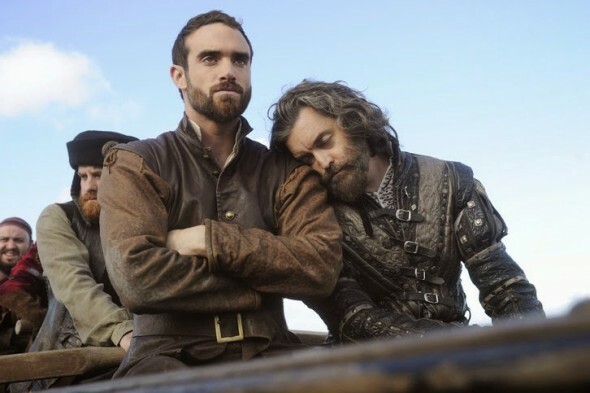 Are you a fan of Galavant? Do you think there should be a third season? ‘Game Of Silence fans’ are campaigning to #SaveGOS online! Could we get a shout out please?! It’s GOS week! Tune in this Thursday June 2 (Ep. 8+9…2 hrs.) and SUNDAY June 5th 1 hr. finale on NBC. Live tweet with cast/crew! Signed the petition. It’s up to 18,500! You can dance if you want to…….